From it inception in the 1960s to now, cloud technology has evolved into a ubiquitous beast that few understand but most use. Smartphone packages automatically come with cloud storage and an app to help you upload files and images easily. This simplicity is not always to the user’s best interest. From the advent of central servers, the hacker is born, making some items best kept locally and in paper form. Intimate pictures and videos have made some people famous but, unless you want this kind of fame, dirty pictures should never be uploaded to your cloud. In an article by the Washington Post on sexting, the moral and ethical ramifications of digital intimacy are pushed aside, leaving only the practical advice on how to send a risqué photo. These kinds of pics should be sent one-to-one using a system that will destroy the image after a period of time and should never be stored on permanent storage like a cloud server. The CoverMe app works well for this purpose. Storing passwords and personal identification numbers on the cloud is akin to writing your PIN on the back of your ATM card. According to identity theft protection company LifeLock, staying proactive about security breaches is one step to keeping you data safe. A little rational paranoia goes a long way. 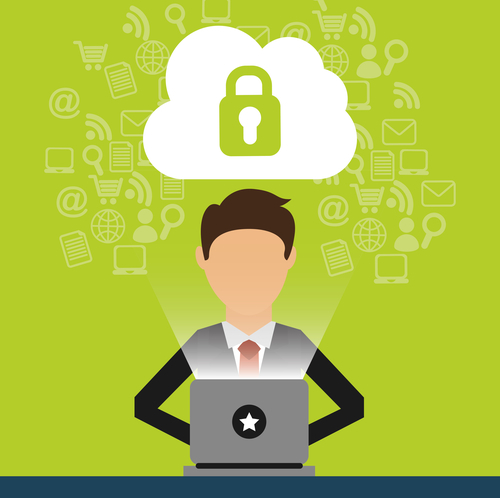 When uploading files to the cloud, assume that hacking is a possibility. By placing passwords on the cloud, you turn one hack into a very lucrative score. Instead, memorize your passwords, having different ones for various situations, and change them regularly. Think of the cloud like a bank vault. The vault that is most at risk is the one with the most valuable goods. Account numbers are the diamonds of the Internet world. In a worst case world, the theft of your account numbers and your passwords could strip you of your money and your identity. Account numbers are hard to remember so store them locally one your computer. Make sure that your computer is locked, encrypted, and protected with a strong and up-to-date virus security program. Medical records can be incredibly damaging in the wrong hands. The Health Insurance Portability and Accountability Act (HIPAA) was created from the understanding that medical records carry a huge amount of important data, often including a social security number, age, and illnesses that a person may want to keep secret. Cloud facilities are not bound by HIPAA but your doctor is. Instead of maintaining these records yourself, let the doctor’s office hold them as well as the legal ramifications of proper storage. Some of us rely on cloud storage to do business. 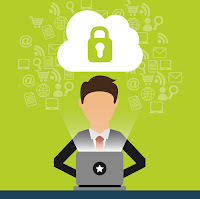 If your company depends on the information that is on the cloud to do business then make sure to have a backup on hand. Cloud storage services go down from time to time. You can see these online on the cloud research site Cloud Harmony which offers the user real time statistics on cloud server outages across companies. Most servers have a 98 percent up rate but that two percent downtime can kill a business meeting. Always carry a flash drive with mission crucial documents in the event of a cloud outage. What Do You Know About Cloud Safety? Are there more internal criminal HIPAA violations today?